We all know that tag name for every link starts with letter “a”. “a” refers to the anchor tag. The tag name which starts with letter “a” should be a link. Because all links has tag name “a” so we can identify links with tagName method of By class i.e. Where size() method returns the total no of links on Google page. 2. 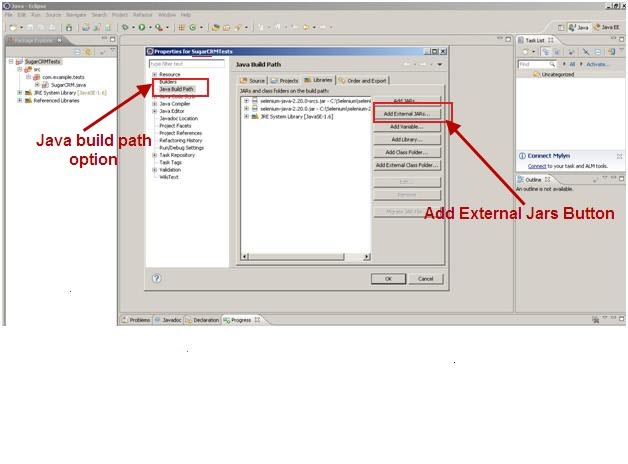 Click on Download link which is associated with java release. Download the jar files. Refer following screenshot. 3. When you download it you will get a folder. In this folder you have two jar files related to selenium and a lib folder in which you have another jar files. Refer following screenshot. 5. Now add all jars which you have downloaded earlier. Go to properties by right clicking on project. 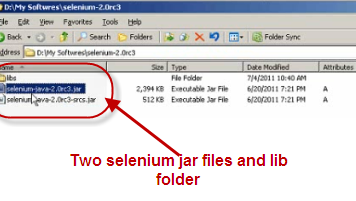 Select both selenium jars and all other jars from lib folder of downloaded folder. Webdriver is a tool for automating testing web applications. Webdriver makes direct calls to the browser using each browser’s native support for automation. Selenium Webdriver does not depends upon the server. We can directly run the programs/scripts in the main method. 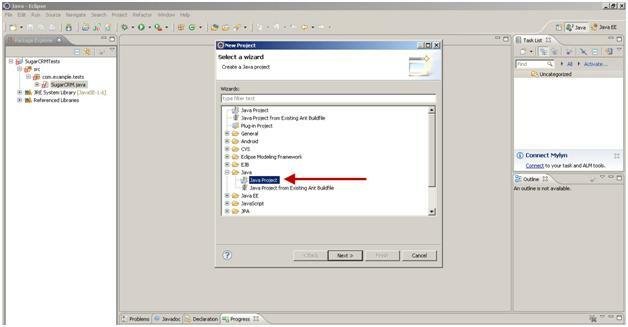 Selenium Webdriver is very simple, easy to use and to the point. Selenium Webdriver supports various languages for example java, Python, C#, Ruby, Perl, Php, Java script. No need to start selenium server. Selenium Webdriver Supports iPhone and Android testing. You can find coordinates of any object using Webdriver. You can easily simulate clicking on front and back button of browser. Keyword driven framework is very easy to build in webdriver. Webdriver uses native automation and does not have the sandbox constraints of Selenium-RC. It’s a little faster and does not require a server.